I’m always looking for ways to get better cell phone coverage in my rural area of Burson, CA and Valley Springs. People have suggested I get a microcell or femtocell. Here’s why it won’t work for me, but for others it might be a great solution. A microcell uses your home internet connection. Right now that totally eliminates me just on that fact. But if we did have internet at the property we only get satellite. As far as I know all satellite coverage is not compatible with femtocells because of the high latency in satellite. Every time you make a connection with a satellite the round trip to go from the satellite to your device take up to 2 seconds. That would be totally unacceptable on voice calls. Data usage still applies if using the microcell, instead configure your phone to connect to connect to WIFI for data. Only devices you authorize can use it. Need a 3G or better phone to utilize; older GSM/EDGE only phone won’t work. 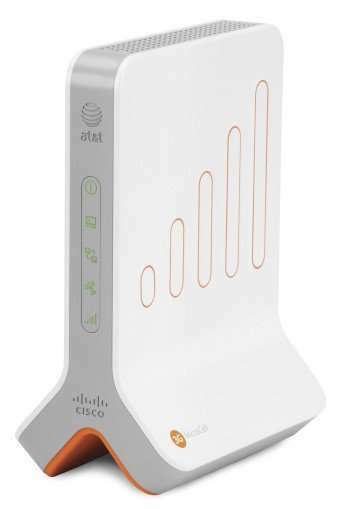 calls transfer from the AT&T 3G MicroCell device to the strongest AT&T cell tower signal. Calls initiated on a cell tower do not transfer to the AT&T 3G MicroCell device. Anyone have experience with Sprint, Verizon or T-mobile femtocell /microcells? This entry was posted on Friday, July 20th, 2012 at 11:05 AM	and is filed under Misc.. Both comments and pings are currently closed.